The HMS/YES SECOND annual Winter Reading Festival was a huge success! 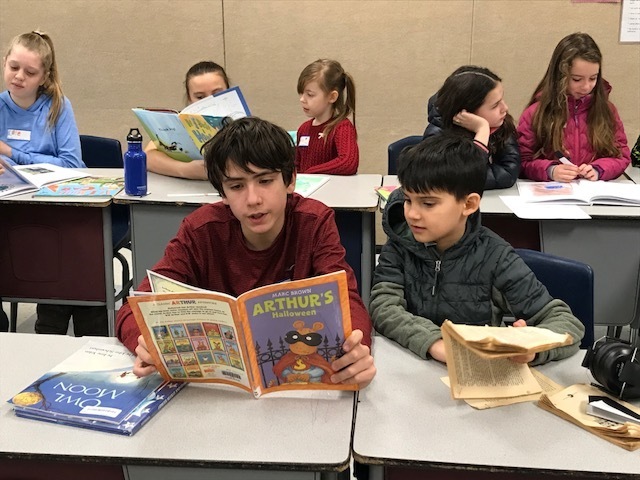 Our sixth grade students couldn't wait for our 2nd grade visitors to arrive : ) Sixth graders and second graders joined together to celebrate their love of reading. 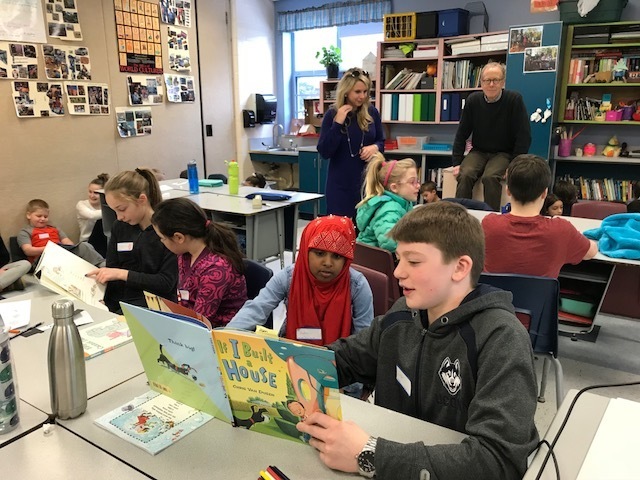 They read books to read to each other, made bookmarks, and enjoyed the wonderful story narrated in the HMS library by our very own Merry Stuhr. 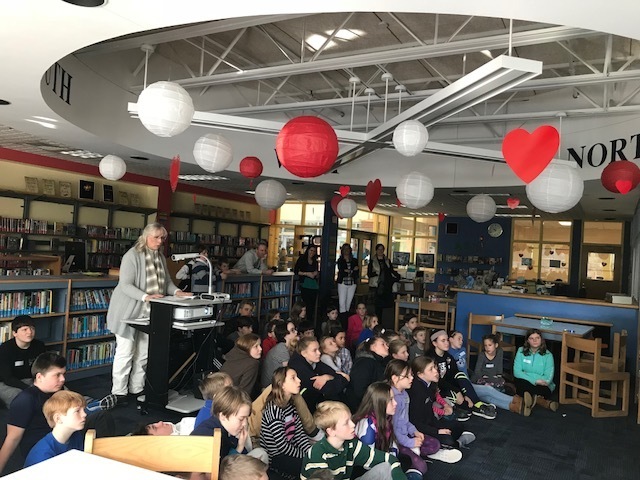 Our thanks to the second grade students and teachers and the sixth grade students and team for creating this engaging learning experience!